Cole Grover wrote: Visible light is different than UVB and UVB is different than infrared (heat). Just becuase you have one doesn't mean that you have the other(s). I understand how that can be done artificially - but when are visible light and ultraviolet separated in daylight? Kelly Mc wrote: I understand how that can be done artificially - but when are visible light and ultraviolet separated in daylight? By lots of different factors, from time of day, latitude, ozone, etc. A phenomena called partial reflection can entail that with just a few degrees difference in the suns position the UV, and other wavelengths, can go from very low to very high. This effect can create bands of UV stretched across the landscape like an interference pattern. Daylight isn't that consistent, even over very short time spans, with its distribution of wavelengths. Clouds that are particular good at blocking UV, not visible light, can also sometimes act as mirrors to greatly enhance UV exposure. Not all daylight is made equal. Ugh - i hate pulling the "ive kept herps this long blah blah . ." Its a turn off . I really want us to go gentle with this discussion, because you guys - Its something to think about - its really fascinating and something ive explored in a utilitarian format (admittedly) but very carefully for a very long time. And like i said, most of the snakes i have presently dont have it. I have a cal king of my own that i havent got a uvb light on. I have alot of lizards and i hemmorhage $ on lights, and i have broken molars i cant afford to fix. 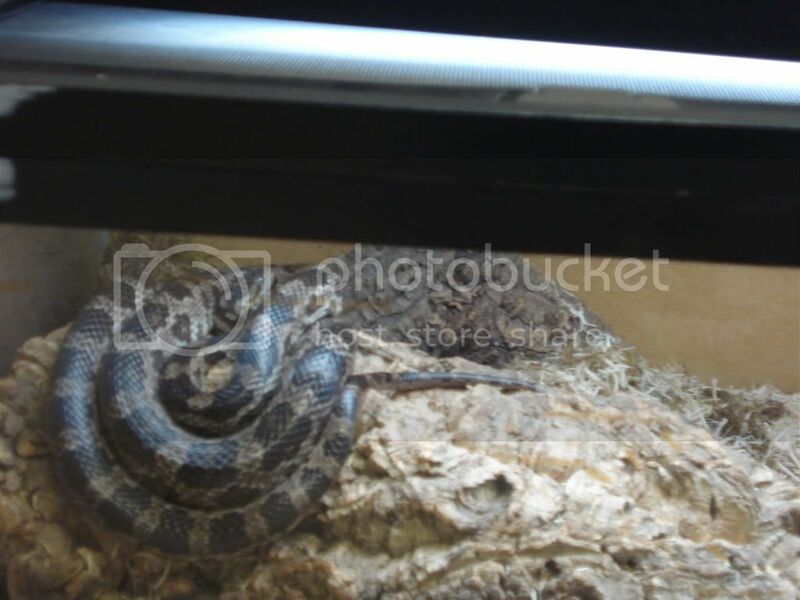 But to speak very informally without overstating, i have some snakes that seem like they dont even realize they are in captivity, i dont think. From the 80s to the 90s i got many WC snakes of so many species from all over the globe to start eating once they were day cycled with uvb. They dont need to be overtly basking - or diurnal. Why is daylight to a nocturnal snake any less important than a night cycle? I have had BCIs that had spatially dysphoric behaviors calm down in days after being placed in cages with a 5.O and light contact cover, both needed to be provided. So many other observations - yes only that - but a large body of it - and these in juxtaposition with an even larger body of snakes without. Its use has been finessed case by case, and intergrated with env strategies. I would like to somehow know how many in situ pics there are in the forum of snakes all over the world - including those considered nocturnal - exposed or partially exposed to daylight. We tend to think of basking in saurian terms. Although my most confident captives bask out in the open, it is not required for a snake to pose along a branch etc for uvb to be absorbed. Also - my north american colubrids bask Cool. Average temp of body is 79 to 84 degrees. The exception is my sonoran gopher who is the only one with a dimmerable heat bulb fortifying the uvb - which is a 10.0. Its usually dimmed to I would say a 40 watt output. He will also bask under a power sun but not as long - it gets too hot. Other snakes and other situations, tricky arboreals and truly robust diurnals, snakes healing from rodent bites and lawn mower blades and dystocia - and these provided with ultraviolet light after their appropriated stay in conventional semi sterile style hospital cage - all of these i share for it has fueled my ponder. We, or at least I, understand why you take your position and I respect you for it. I'm more a hard science guy that digs deep for factual, and don't put much stock in evidence that falls short. As a breeder you have to work with what you have and your showing more than enough conscientious integrity. Animals also - control the amount of light they absorb, in moving and positioning. I love hard data , i happily will bruise my hands on it - no matter what Truth comes. Im curious about it. I have noticed also that besides the obvious close proxy basking where the embankment or log is raised to a distance of 4 to 6 inches from the tube (it will vary - when i change bedding or move something) they (i will limit to my current subjects ) will also position themselves partially, with a portion of body poised out of the shelters which are deep, under where the tube is radiating. They are a few inches lower there as well as the temperatures. they do not do this in the ambient light of the room, if i leave the tubes off. It should be also mentioned that identical, to the degree, as well as cooler and warmer temperatures are abundantly available throughout the cages. For those who have experimented with uvb light and snakes - and observed nothing - substantial shelter is integral. 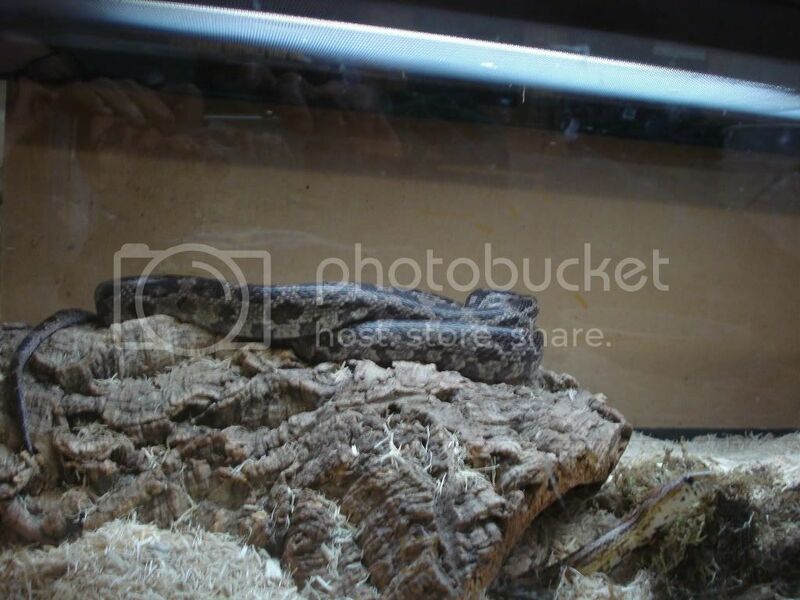 A small singular hide log or lightweight tupperware with a hole isnt enough. Hasnt anyone watched how a snake will vanish into cover? In many biomes it is almost nothing but enabling cover, crevice etc. If the degree of risk be too great to emerge, a snake will choose safety, often even over food. Coming out into light is being visible to predation - if there is no replicant of ample immediate escape into safety snakes are inclined to stay hidden. Whether there is uvb or not. Just saw this "Reptile Lighting Guide" today. Recommendations for a variety of species, even predominantly nocturnal ones, such as Tokay geckos. These recommendations are only based on assumed data from weather stations around the world. We then used the species data i.e waking hours and position in the eco system to work out how much exposure they would be exposed to at around 11.00 Am in the country of origin. This is a good starting point for your own research. I guess Tokays are somehow exposed to sunlight at 11 AM. You learn something every day! To be fair, they DO have an interesting discussion on photogradients in enclosures. http://www.arcadia-reptile.com/lighting-guide/ wrote: This is a good starting point for your own research. This company doesn't appear to be making absolute claims, and even advises against such lighting for high morphs. Even lacking hard data this company is at least avoiding sensational claims, but leaving the details of the research up to the owner. I do hope some people will take the position Kelly advocated to do some research, and this looks like a reasonable company to consider if you do. I expressed my serious doubts about the need of UV for D3 production, so long as other sources of D3 were sufficient. It may even be worthwhile to attempt to falsify my own doubts. However, after considering Kelly's argument, I started thinking specifically about other potential benefits. One that came to mind was parasitic control. Although UV germicidal irradiation is based on UVC, which isn't really relevant in the wild, UVA and UVB would logically still have a significant impact on the ecology of microorganisms living in enclosures, and on reptiles exposed to it. This is another avenue of unknowns that could use some research. Perhaps others inclined to research this can hypothesize about other benefits/harms. Healthy skepticism is no reason to remain ignorant forever. I'm more interested in the knowledge than the application, and think conscientious breeders are doing a fine job of raising the standard of living of their charges well above what can be expected in the wild. More knowledge is nonetheless a desirable goal. mywan wrote: leaving the details of the research up to the owner. after considering Kelly's argument, I started thinking specifically about other potential benefits. One that came to mind was parasitic control. That sounds very interesting; something I hadn't considered. I was also intrigued, as I said, by their discussion of a photogradient. That's definitely an area for more observation/research. One thing I haven't heard much about is any practical functionality of parietal eyes with respect to light, visible or nonvisible (UV or infrared). I think that'd be a cool topic to find out more via controlled experimentation. John Vanek wrote: By this logic, shouldn't be worried that millions of mice and hamsters don't have access to vitamin C drops? This was one of the arguments I used against UV for D3 production. I wasn't arguing differently here, just pointing out that more research was a good thing. What has been proven by the study is that D3 is synthesized by uvb in snakes. And it has long been recognized that it is adequately assimilated in a broad sense, from the liver of prey. Snakes in the wild recieve contact from daylight. Because D3 is fat soluble , the exposure is accumulative, however the nocturnal or fossorial (semi) defaualt of our assumptions might be. As far as it being "incremental" or irrelevant. Snakes eyes, are fully developed in most species, along with a conventional retinal filter. So they do recieve both, and always have, since emerging from their truly fossorial origins in the cretaceous. In other herps, mostly lizards of cannonized questionable uvb (in captivity) requirements - troubleshooting with oral supplementation instead, bypasses a sequence of regulatory mechanisms that begins with dermal ultraviolet contact . John Vanek wrote: Also, D3 is fat soluable, and can be toxic in high doses. Which is why oral supplementation in blue tongues, geckos can only be trouble shooted, and why for example "Solar Drops" turned out to be a frequent disaster in use. The conclusion of almost every good scientific study! I just wanted to chime in on the subject of fossorial/nocturnal habits versus exposed, diurnal habits that was touched upon here and there above. Pretty much every time anyone studies a fossorial/nocturnal species in detail, they find that the species does in fact spend at least some portion of its time exposed to daylight. Some of these species are even found to spend a surprising amount of time thus, and I wouldn't be surprised if virtually all of those that exhibit a seasonal reproductive pattern are at least exposed enough to the sun to use it to help them time that pattern (though admittedly that doesn't necessarily mean they're soaking up the sun's UV output in the process). There's a reason that true cave species are virtually the only ones to have completely surrendered their eyes and/or skin pigments, after all. I think we need to be careful about making assumptions in any direction on this subject. 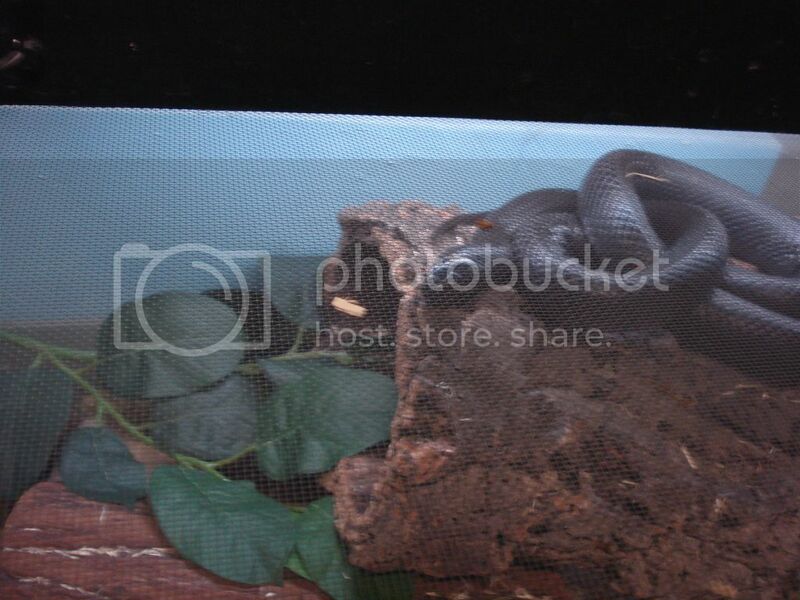 I would like to share some thoughts on captive uvb use, that i have found in my own particular use of them, as far as uva/uvb index, which basically is I have come to use the same type and rating for most all species, and with snakes i basically use 5.0 or a 10.0. In most cases I have found their use to be interchangable. Before 10.0s were available i often used esu 7% tubes, again interchangeable with 5.0s. Although the recommendation for most snakes will often say 2.0 I have found they do not react the same - I think it is because the greater uva index is percieved by the snake as it being too bright a day, or somehow unsuitable for it doesnt pull them out. Quite frankly I have only found use for 2.0s in combination with others of greater uvb index, as a close range mild basking source, right over a stick of bamboo for phelsuma or 25 coil in an internal socket for small basking lizards, as the uva generates some nice localized heat. that can even be significant in upper level wood enclosures. But for the most part the other ratings produce a mild light - too mild be used alone with just a ceramic heat emitter for lizard set ups in my opinion, without some daytime fortification of some visual uva, or a double up of tubes. But returning to snakes - when a uvb source is used, and it is within range to be detectable - it is interesting to watch. Especially at first. There is a very gradual emergence - a crypic start- - - stop creep out into the open and on to, under. It can at first take hours, and often they come out a little more each day. It is the same tentative creep i suspect they use sometimes in their every day, every night life, in navigating themselves safely in forage. After a while they flow more assertively into a bask - and there is usually a loose pattern. 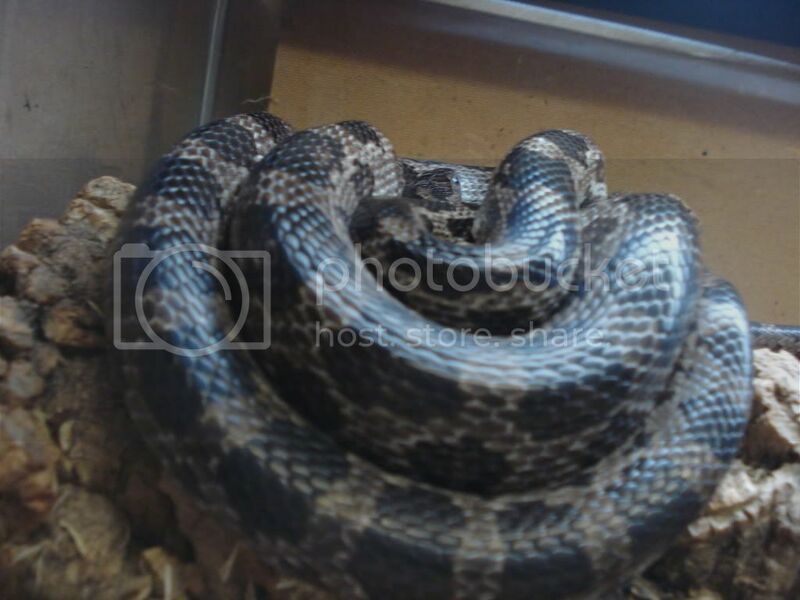 i suspect if a person is into handling their snakes frequently - it disrupts this pattern. John Vanek wrote: But this study didn't tell us whether the D3 production was ore than needed by the liver alone. For all we know, corn snakes have access to both systems, but preferentially use one or the other. It doesn't tell us that they receive any benefit from the extra D3 production. This is true. The snakes, including the control group, were not fed during the study period. Hence, by design, this study is incapable of any comparative effectiveness of providing D3 by means other than UV. A repeat which includes 4 groups of snakes, a no food or UV control group, a feed only group, a feed plus D3 supplement group, and a feed plus UV group, would allow a better comparison. Even with an expanded study like this it would only address what is required to functionally meet D3 needs in this species. It wouldn't address behavioral expressions, microbial ecologies on the skin or in the gut, resistance to infections, etc. Neither would it address variability in other species, such as fossorial among other species variations. All bets are off for other snakes until such studies are repeated for a wider range of snake species. 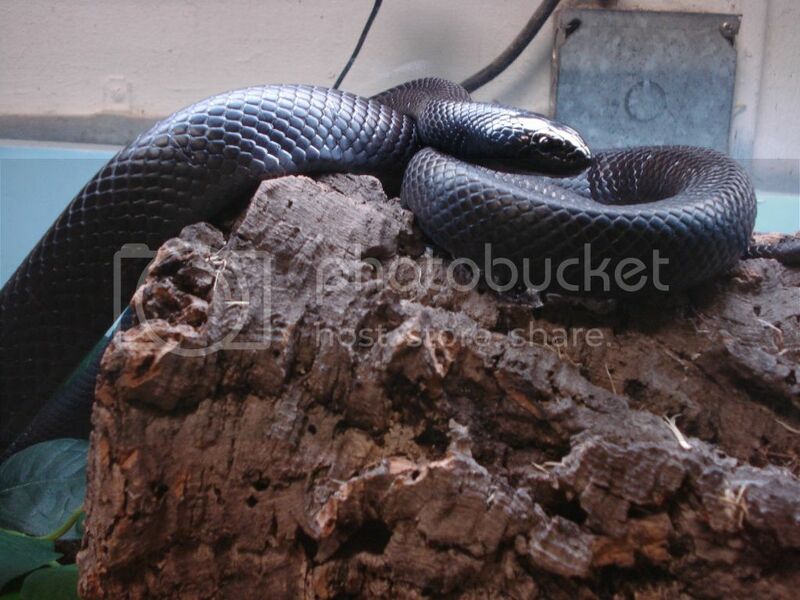 http://vetmed.illinois.edu/mmitch/pdf/corn%20snake.pdf wrote: Because snakes are carnivores, the general assumption among herpetoculturists and veterinarians was that these animals also derived vitamin D from their diet and that UVB radiation–induced synthesis was likely of no importance. The findings of the present study suggest otherwise. Way too often studies are used in an attempt to justify claims well beyond the scope of what a given study actually demonstrates. Without a control group provided food, thus removing all potential D3 sources in the control group, the above quote steps beyond the scope of what the study actually demonstrates. It doesn't always mean such claims are wrong, just unverified with the scope of evidence made available. The evolution in exotics husbandry have mostly come from rational connect with interdisciplinary knowledge and actual observation in practice. Agricultural husbandry is a different story - because of its economic impact. It is quite telling, the reflexive balk - subtle and often not so subtle - that the discussion of uvb brings on. Instead of curiousity and investigation being the dominant tone. The same happens discussing other versions of herpetoculture, ie; keeping beyond the bin, i have seen. It would be good to honestly examine that - as an indifference, or automatic downplay to burgeoning information, that perhaps are incompatable with agendas of convenience, profit and ego. Those agendas are active often, and cannot fuel progression. One can be scientifically curious without a hint of emotion, but one cannot balk without it. Snakes evolved on earth, the earth revolves around the sun. Snakes eat animals. So they recieve both light and food. Except for invertebrate specialists, they eat animals with livers. So they recieve both. Food and Light. Thats how simple it is. If explorations of a topic are not honest in motive, and are more important than what could have positive impact in the lives of captives, before or after studies vindicate them, if that mindset is more important - thats a shame. Really it is. ". . argue ad nauseum while being exceedingly polite and grammatically correct. " But what does that have to do with herps? People who've known me since I was little would tell you that I actually started out this way. Count me as an interested skeptic, too. Do you have any questions? About observations of augumenting light use in captivity? Voluntary exposure of some western-hemisphere snake and lizard species to ultraviolet-B radiation in the field: how much ultraviolet-B should a lizard or snake receive in captivity? Ferguson GW, Brinker AM, Gehrmann WH, Bucklin SE, Baines FM, Mackin SJ. Gary has been one of the 'go to' people regarding emprically derived info pertaining to UV and captive reptiles over the past couple of decades. Has anyone read this? (Ferguson) I emailed a request for the full paper just now. I wonder what species of snakes are involved. Frances Baines material I have read was perfunctory regarding snakes - but otherwise interesting and important material. The corn snakes env adjacent is warmer - as they have more loops of the cable which also heats a side wall. They usually come out later in the day when the room has gotten warmer, (Hi 70s to low mid 80s) but the temps are not influenced by the tubes, I have only read a one to two degree difference on surface under tube. 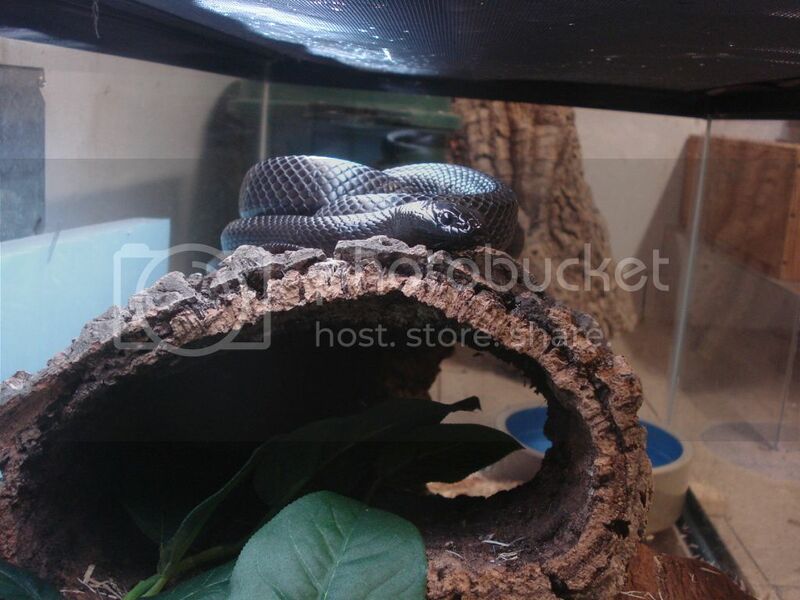 The kingsnake is active in a greater variety of ambient temperatures, and will bask when it is as cool as it gets in the building (and env), which is 72 degrees. I believe the snakes used in the Ferguson et al (2010) study were possibly the same species (Thamnophis, Agkistrodon, Nerodia) used in the Brinker (2006) paper. As far as I know, the most complete UVB study on any captive herp as been the one by Ferguson on chameleons. Journal of Herpetological Medicine and Surgery Volume 13, No. 4, 2003 p27 - 37 wrote: b). snakes - Most snakes probably don't need a UVB gradient, except strongly diurnal species that are known to bask, e.g. racers, maybe water snakes. We need more research. Given that the assumption is that dietary vitamin D intake will modify UVB requirements, such that captive snake with a consistent feeding regimen requires no UVB. It should also be noted that although UVB plays a role in D3 synthesis it can also degrade it (Webb, et al, 1989). It was Pritchard and Greenhood, (1968) who first considered the possible role of UVB in disinfecting external parasites. Given many snakes susceptibility to scale and mouth rot and snake mites, UVB could potentially be helpful. Note that stomatitis (mouth rot) is often associated with a deficiency in B3, among other things. We can't even a priori rule out photobiosynthesis of D3 simply on the basis of nocturnal behavior, given that there is solid evidence that nocturnal geckos use photobiosynthesis. Even presuming snakes lack this need in captive conditions does not mean it isn't part of the self regulatory repertoire of wild specimens. Providing a capacity to self regulate offers advantages that strict care regimens may not be able to fully replace when knowledge is limited. Since self regulation of UV requires sensory information, one of the issues I searched for was evidence of retinal sensitivity to UV in snakes. The first evidence was provided by Sillman et al. (1997). Here is a study of retinal sensitivity in ball pythons. Obviously my own assumptions are not generally applicable, and may even need to be heavily revised for many clearly nocturnal species. However, this doesn't come without some dangers if done improperly. UV can also degrade B3 as well as vitamin A. Even the gecko study showed that UVB intensities both above and below certain intensities had a detrimental effect on health, even if within a proper range the benefits were positive. Kelly, might I suggest you repeat your observations with your MBK over many days with complete notes on environmental conditions, time since feeding, etc. 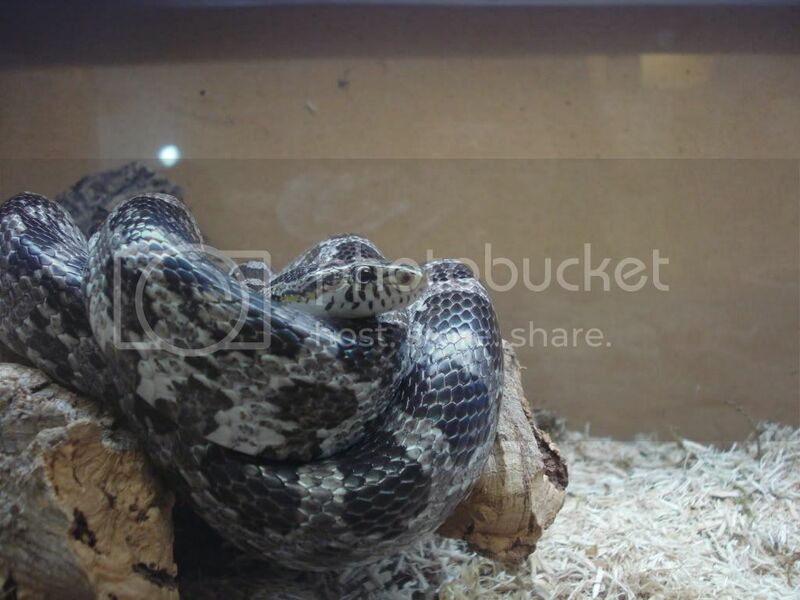 Also test if there is a minimum temperature under which a UV bulb can trigger this basking. I would also like to know specifically what bulb was used. There's a lot of parameters you are in a position to check, and retest, to establish UV induced basking, and the range of overall conditions in which it can occur. A single test is not, in itself, very meaningful. We certainly have a lot to learn. The minimum temperature that would be possible in the circumstance would be 70 degrees. The bulb is a 24" Reptisun 10.0, T-8 . He has been with uvb for as long as ive had him which is about 3 years now. Same as the adult cornsnakes. 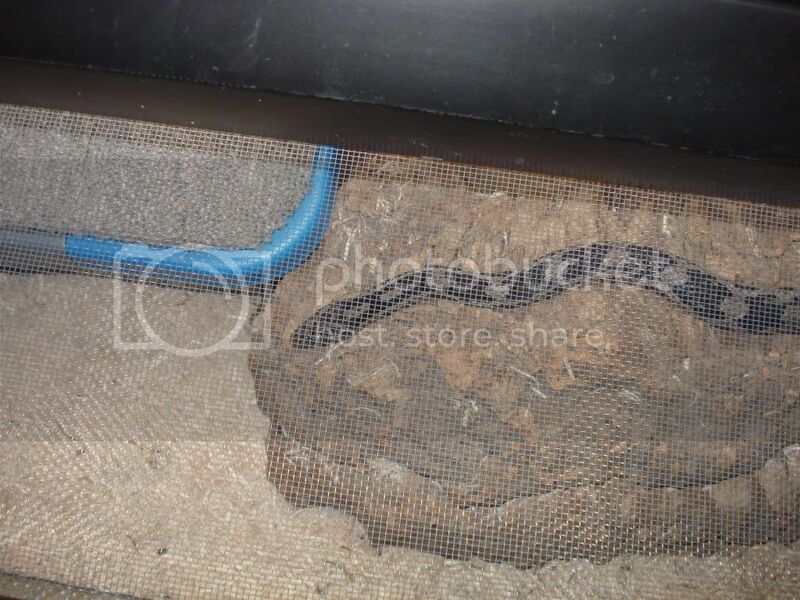 Ive had many snakes in environments with uvb. All of my diurnals and well sighted arboreals, Hognosed snakes, Boids, Rat Snakes. Pits. They have often been rescues that became display animals, like the sonoran gopher. That guy i think i have had 7 or 8 years now. I have always used uvb lighting with animals. Can you log how constantly you get basking behavior under identical conditions with and without UVB? Then log changes in basking behavior, with and without UVB, under specific modifications to environmental conditions? What's needed is enough observations to form a statistical picture of behavioral effects. Yes i could do that. I would have to do it with my animals at home where i can have more power over my activities. At work there is too much going on that pulls me away from one thing to another. But i have never found it unusual or exotic. To me it is just another rational enhancement to the vivaria, like microclimates, or providing tactile surfaces that replicate biome realities. These are much simpler than they sound. They are not complex just principalic. mywan wrote: Can you log how constantly you get basking behavior under identical conditions with and without UVB? Then log changes in basking behavior, with and without UVB, under specific modifications to environmental conditions? What's needed is enough observations to form a statistical picture of behavioral effects. I have noticed snakes will not bask under radiant uva unless it is their only form of potz. I use cable for potz. There are thermal influences with sunlight as it is comprised of uva and uvb wavelengths. They are also both present in uvb tubes. But they have very minimal thermal capacity and are a part of the ambient temp composition of the environment. Unlike the lizards - which use it as a high end potz along with radiant uva fortification. Kelly Mc wrote: I have noticed snakes will not bask under radiant uva unless it is their only form of potz. I use cable for potz. I'm having a bit of difficulty parsing your sentences. I assume potz is preferred optimum temperature zone, but I'm not sure how radiant uva could be the only form of potz. The "thermal influences with sunlight" is primarily associated with infrared, not uva or uvb. Which I presume is what you mean with "very minimal thermal capacity", but then it gets confusing wrt the "ambient temp composition". UVA or B has little to do with temps, but infrared does. Not sure what you intended to say, and only go in circles trying to figure it out? My best presumption is that you are primarily correct, except where you apparently presume uva and uvb are part of the ambient "temp" composition of the environment (unless you mean 'temp' in a different sense). UVA and UVB have a negligible impact on environmental temperatures. That is primarily a product of infrared wavelengths. If someone were to use an incandescent bulb as the primary, or only source of heat - they would be applying uva. UVA comprises the broadest range of the spectrum is visible to us and is energy/heat producing (from my understanding) UVB wavelengths are not heat producing, or visible to our eyesight. Flourescents radiate cool - they actually fluctuate on and off strobe like - but too rapidly for us to percieve. By Ambient Composition I mean the zones, pockets and gradients of temperatures available in the air of the cage. I have many more pics of snakes basking at further distances from the tube. The basking area is sometimes higher, sometimes lower. I have to move them. take them out etc for routine husbandry duties. They dont only bask on pinnacle but there are lower aspects they lay on and have a flexible relationship with light and its gradients, like all the zones of temp, humidity etc of the cage. Sage has had 2 clutches in my care. The first clutch of 12 and the second 15. The numbers are unremarkable but all of the babies were large. None were under 11 and a half or so inches, most approaching 13 or slightly over. I always use uvb lights with gravid females and I never get puny babies. The first year the pair were being rehabed not for breeding purpose but because they were rail thin, covered in feathered exuv and left outside the door in a tank of grey aspen and a torn paper bag for a hide. The entire cage was so innundated with urates that it looked as if chalk and chalk powder was used as part of the substrate. The water bowl was a small plastic tupperware with dark porto sans like water. They got healthy and bred the second year. They are a bonded pair and i am in conflict in allowing them to breed. I do not breed any animals on purpose anymore, for about 5 years now. 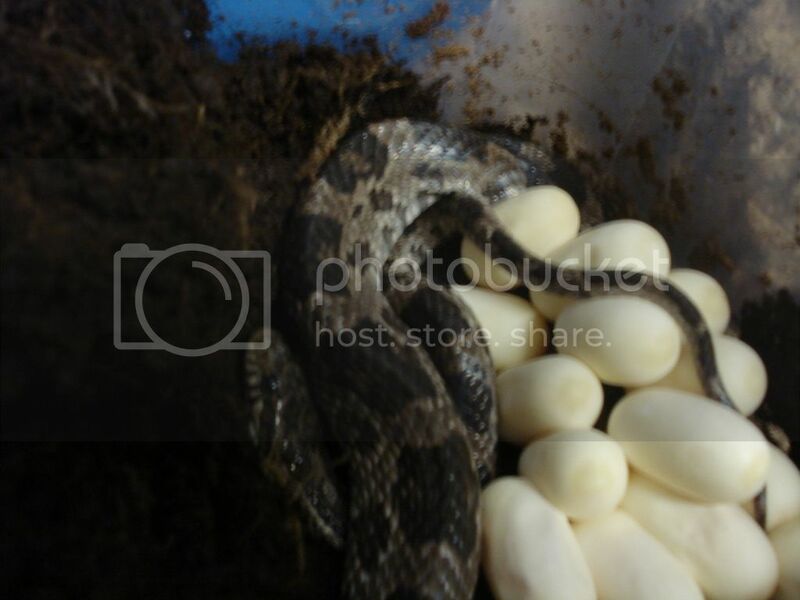 But the next clutch i will feed to my tegu, i still have 2 individuals from their first clutch and 9 from the second because i dont believe in "Starter Snakes" that become "throw away snakes" when its time to get a larger cage, or they lose their novelty. These snakes are ambassadors to present adult sized snakes and environments to people interested in the cute little babies. Kelly Mc wrote: If someone were to use an incandescent bulb as the primary, or only source of heat - they would be applying uva. UVA comprises the broadest range of the spectrum is visible to us and is energy/heat producing (from my understanding) UVB wavelengths are not heat producing, or visible to our eyesight. The wavelengths are not just "violet," they're ultraviolet. Im not a physicist so from the standpoint of whats used for heating reptiles - the incandescent bulbs produce heat and have uva. Incandescent light bulbs - which are the same at walgreens as they are at the pet store, whether they are conventionally shaped , or floods or spots - if you turn them on and they light up and get warm They have UVA. Here is a more linear image of the light spectrum. Below the 400 NM wavelength is UV, which humans generally can't see. The infrared wavelengths, most responsible for heating, are above 700 NM. Again generally outside the spectrum of what we can see but on the opposite end of the visible spectrum from UV. Now this is the outdoor daylight spectrum (left) compared to a normal incandescent spectrum (right). GE has a page here where you can compare the spectrum of many different bulbs and sunlight. Neither uva nor infrared nor - a"day bulb" synthesize d3 when radiating on the dermis of reptiles. I find it interesting that snakes will bask under a uvb tube even if it does not heat them or the surface they are on any more than the ambient surroundings. I have aimed my temp gun at the wall behind the tank and read the same temp as their body. They bask under it when its warmest, less warm or morning when it is the coolest temperature overall. After feeding they usually seek the potz cable that day. The amount of time spent under the uvb is longest in pre ecdysis and gravidity. I cannot help but think of cell generation and perhaps, shell gland processes. Transport of cellular goods like calcium and proteins could be interest in exploring this topic. This topic is a subject that opens myriad - into many disciplines and good wanders. Kelly Mc wrote: Neither uva nor infrared nor - a"day bulb" synthesize d3 when radiating on the dermis of reptiles. There has been research done in humans that concludes that D3 helps in bone development and in maintaining a strong immune system. 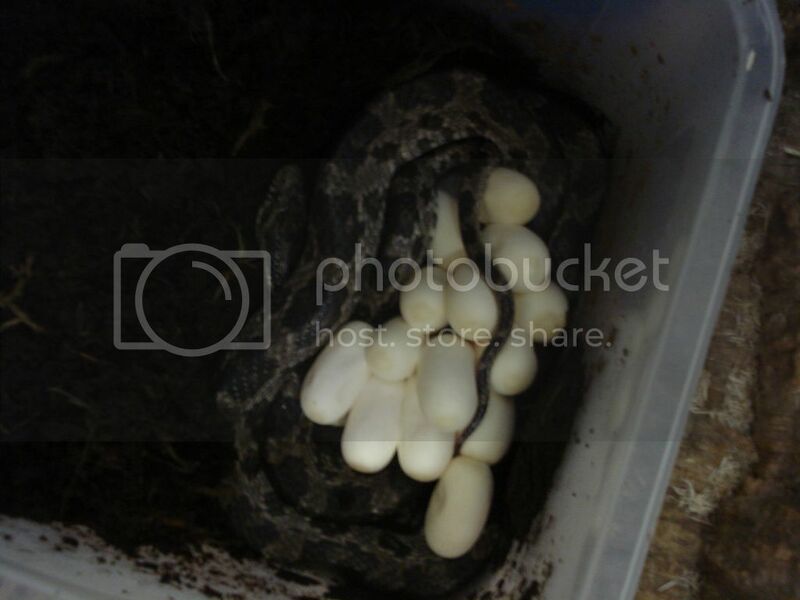 So as I was thinking about some of the rubber boas I look for early in the spring/winter. Are they really basking on 40 degree day to get warm? Wouldn't underground temps be nearly as warm if not warmer? I am certainly not trying to suggest that access to heat has nothing to do with it, but it did make me wonder if this is a possible reason for the high number of R.I.'s in captives and if using UVB light, especially in those periods when a snake such as a rubber boa has not eaten in 6 months, would help prevent or even help recover from some of the common ailments seen in captives. Just throwing out some questions I have been wondering about. ThomWild wrote: Wouldn't underground temps be nearly as warm if not warmer? Not if there is direct sunlight. The surface they are basking on could be much warmer than the ambient temperatures, or the temperatures in the ground. It can be below freezing around here, but if the sun is shining bright, all the snow starts melting. I have found surface temperatures, as well as the actual temperature of the snake to be nonwithstanding. Crepuscular exposure, the mild circumstances of early spring, dappled exposure. The tubes available for use are actually more suitable for filtered forest dwellers and montane species than crucial photosynthesizers. For them i often double up on tubes in close proxy and keep it at a very close range. I mount it lower for tortoises and box turtles - especially juveniles - because they cant scamper up for closer range like a saurian. I got two batches of neo cb laid greensnakes grew like weeds w/ double fixtures on top. They spent the day lacing under it, napping, lacing some more. As soon as the lights went out they all threaded together into a cloud of moist sphagnum on the bottom. Temperature management is the great impetus for movement. Culmative on the crawl exposure while its impacts can be argued, that it occurs cannot be denied. "I have recently put a small 13watt 2% UV light in which has had a massive impact on activity and confidence. She basks in the light regularly and is VERY active." I dont know anything more than the above such as if there were any lights at all previous to the UV light. A related question that I realize is vague and may not have a "real" answer: How hard is it to overdose a reptile on D3? Would keeping one outside and supplementing with a calcium powder with D3 do it? Could they overdose just from the sun if they weren't allowed to retreat into shade (assuming the temps were always acceptable)? I ask these questions because I never know if the bulbs available in the hobby are providing enough, so I always question how much supplementation I should use. Again, I realize answers to these are all going to be species specific along with types of bulbs and distances etc. Broad brushed anecdotal response this is but I have known many baby bearded dragons raised with repcal w d3 and conventional uvb lighting that appeared exceedingly healthy - and in early 2000 years was privy to chain store ones in economy set ups that were given solar drops and died within days or hours. They were bought already affected with mbd. I havent ever been too religious in making sure my crucial baskers saurians and torts only get d3 free calcium. But for adults i go lighter on supplementation and make sure the lights are viable. Products over counter for humans and animals will often apply self protective precautionary default in the make up of product and stated instruction of use. John Vanek wrote: Herps may be basking under non-heat UV bulbs simply because in nature, UV, visible light, and heat are highly correlated, and they may not have the ability to identify these diffferent features. Even the ability to sense UV at all is an unusual capability. Nor is UV, visible light, and heat significantly correlated. At night you can have significant infrared (heat), on the opposite end of the visible spectrum from UV, with no UV whatsoever. Even broad daylight can vary greatly in UV, independently from infrared and light intensity in general. To mistake a UV source as heat could be disastrous for a snake, lacks a sufficient correlation and requires completely independent sensory parts, and even organs, from heat or infrared for it to make any evolutionary sense at all. For a snake to actively seek UV pretty much requires some form of functional self regulation requiring UV itself. However, to establish this is what's occurring requires a lot of different variables to be controlled for. Not all of which I am convinced were completely controlled for under the conditions in which they were reported. I hope that will improve as I know it can. Yes. Most diurnal lizards can. uv spectrum are integrated in daylight. Why polarize in thought what is not so on earth? That saurian vision can see well into the uv range is fairly well known. To be surprised at this makes your above statement seem especially specious. John Vanek wrote: I know birds can see UV, has anyone tested whether any herps can? I linked a study on page #2 showing ball pythons can see UV. Sillman et al. (1997) provided the first evidence of the retinal sensitivity to UV in (T. sirtalis and T. marcianus) snakes. In a general sense this kind of sensitivity bodes well for Kelly's assumptions. This kind of capability is certainly not just some kind of evolutionary accident. It must have a functional basis. Mywan I saw an abstract on caudal photoreptors of sea snakes. I wonder if there has been any investigation of dermal photoreceptivity in other snakes. Often I have seen my specimens expose a significant loop/s of themselves under direct uvb light while still remaining hidden anteriorly. The corns do this and so does the multifasciata. The MBK is more of a wholesale basker - but he is exuberant in all ways. A general note - yesterday was a very active day with significant time under light in seperate periods. Today there was little activity and minimal basking. None at all for the MBK,he stayed in his den retreat and only late afternoon briefly for the female corn. That seems to be the loose pattern. Strong activity for a day (or two, hence 'loose') followed by in-den repose the next day.